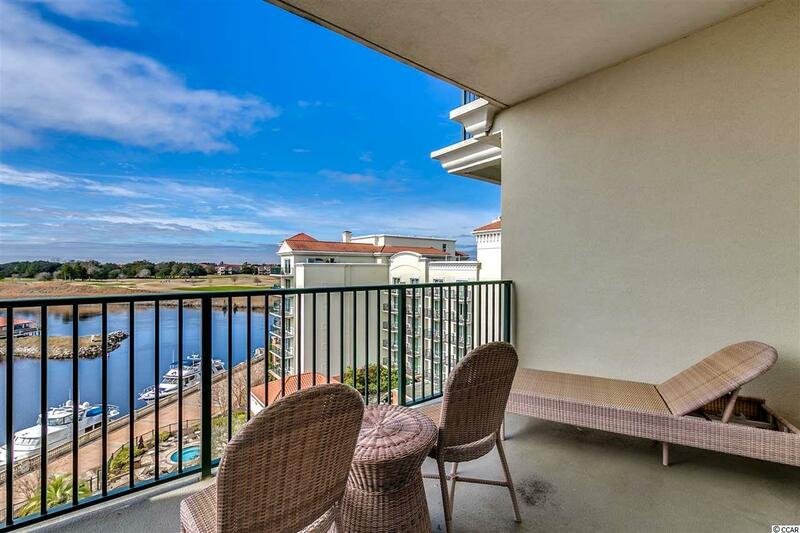 Luxury 3BR/3BA condo at The Marina Inn at Grande Dunes. 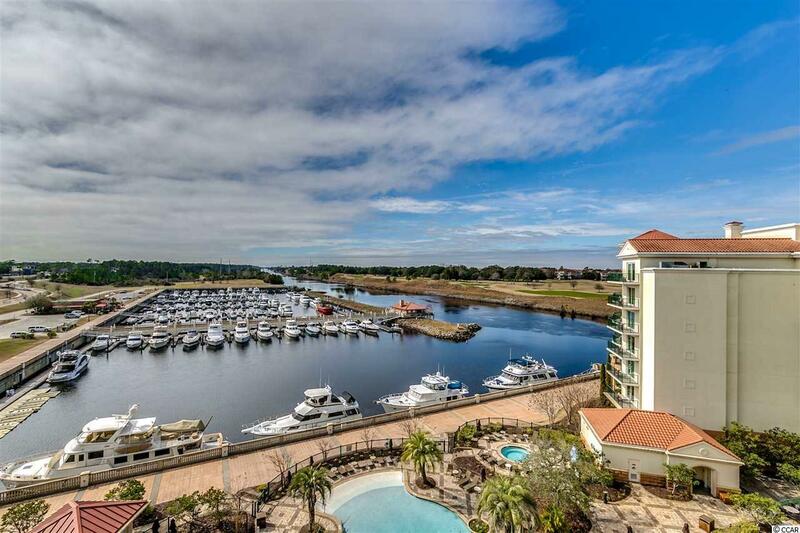 Rare high floor listing in Bld 7 overlooking the yachts in the marina, the Intracoastal Waterway, and the Grande Dunes golf course. 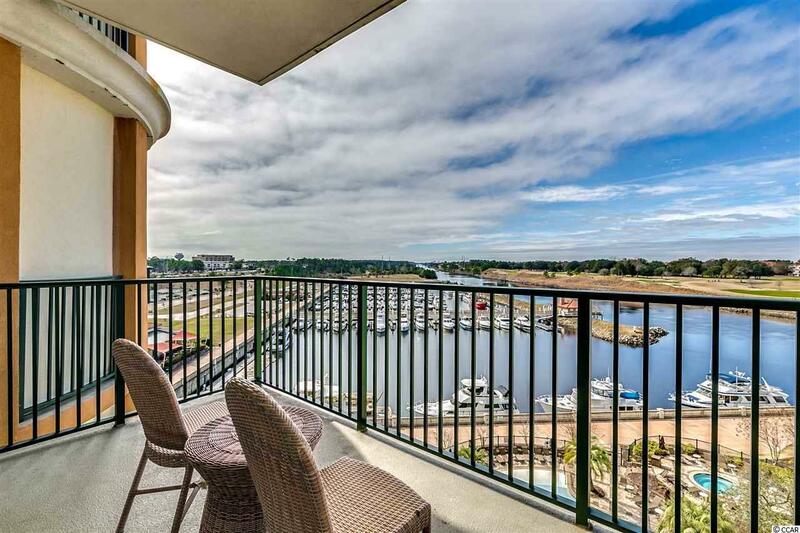 Located in the prestigious 2000 acre Grande Dunes master-planned community, The Marina Inn is a AAA Four Diamond rated resort, one of only a handful on the entire Grand Strand. The condo itself is spectacular. This a "lockout" in with two separate entrances so it can be utilized or rented as a 3BR/3BA condo or a 2BR/2BA condo AND a huge efficiency. The spacious layout includes two private balconies - one off the living room and one off the lockout bedroom - both with gorgeous views. Interior features include granite counter tops in the kitchen and baths, 9 FT ceilings, upscale designer furnishings, custom cabinets, crown molding, fireplace, ceramic-tiled shower and bath areas, and double vanities in all 3 bathrooms. Shower and tub in two of the bathrooms. Grande Dunes itself is amazing. Dining is available at Ruths Chris, Waterscapes Restaurant and The Anchor Caf' perched over the Intracoastal Waterway. Other highlights include several bars, including a seasonal pool bar, a lushly landscaped outdoor pool overlooking the marina, an indoor pool, a fitness facility, lavishly decorated common areas and lobbies, expansive meeting spaces, and an elegant onsite rental management check-in area. The lobby is staffed 24-hours a day and there is 24-hour security. Concierge and valet services are available to guests. The 126-slip Marina at Grande Dunes is one of the finest full-service facilities on the east coast. Ownership at The Marina Inn at Grande Dunes includes membership in the Grande Dunes Ocean Club, featuring an exquisite oceanfront clubhouse with impressive architecture, oceanfront dining, multiple pools and private beach access. Although the Ocean Club is only available to Grande Dunes Owners, guests of the Marina Inn rental management have shuttle access to the oceanfront. Other features of Grande Dunes include two award-winning golf courses and the acclaimed Tennis Club with Har-Tru courts, a state-of-the-art fitness center, pool and more. 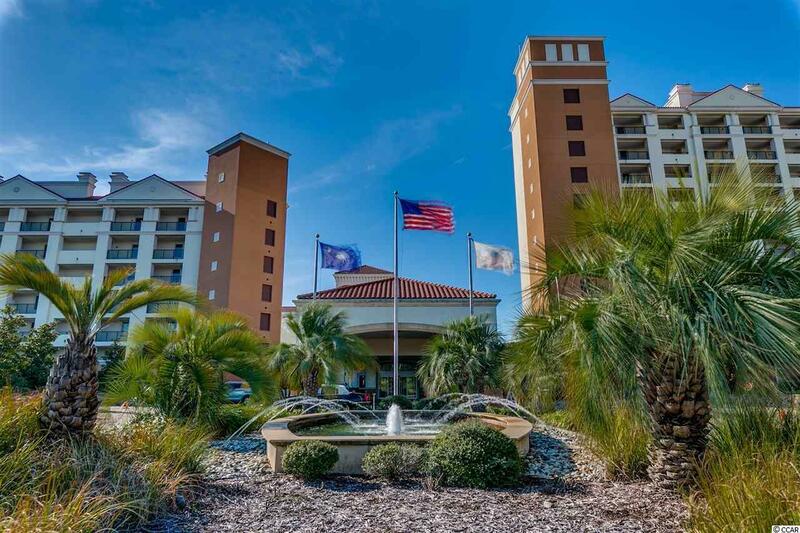 The Marina Inn is tucked away in the peaceful, upscale north end of Myrtle Beach but is close to major attractions such as Broadway at the Beach, the Tanger Outlet Mall, Ripleys Aquarium, Pirates Voyage, Carolina Opry, Barefoot Landing, and Restaurant Row. The HOA fee includes building insurance, HO6 insurance, unit electric, water/sewer, internet, cable, phone, membership to the Ocean Club, and all maintenance/upkeep of the awesome amenities and common areas. All information is deemed correct, but it is the responsibility of the buyers and their agent to verify all information.